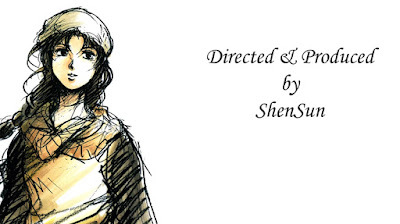 ShenSun's previous Shenmue visual novel released a year ago, "Shenmue Gaiden; Christmas Event", masterfully mixed audio-visual elements together to produce a memorable and moving story that was sprinkled with plenty of humor throughout, and this year's release provides an equally-immersive experience to satisfy those Shenmue cravings. 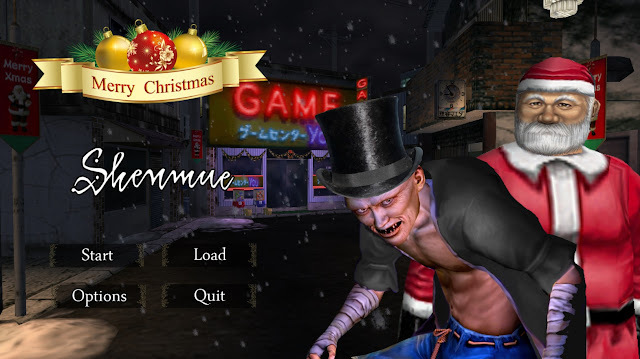 Storywise, "A Christmas Story" starts out with a similar premise to the previous version: you the player have been invited along to an upcoming Christmas party with Ryo and friends. Better catch the bus to Dobuita right away! 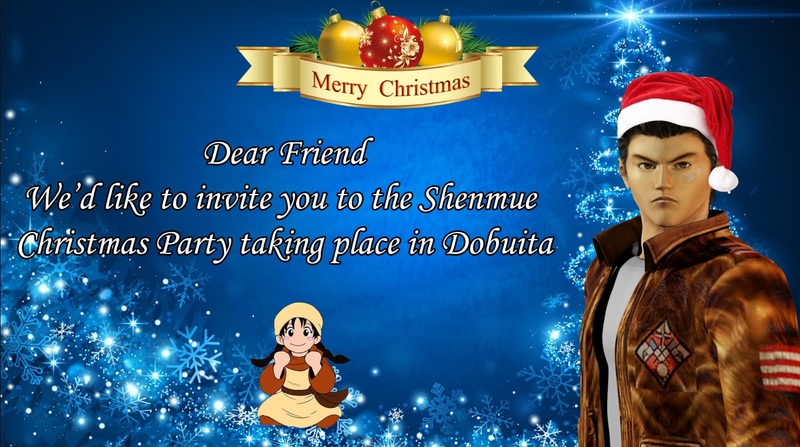 After your arrival in Dobuita, your Christmas plans are soon shaken up as you soon find yourself crossing paths with nefarious characters intent on evil schemes. It is again up to you to defeat them and set things right to ensure a happy Christmas for everyone. The content has been greatly expanded with the story taking place over 4 days, giving an impressive 2.5 hours of real-time game play. There are new locations to visit, interaction with a larger cast of characters (with plenty of surprise cameos! ), more training and fights. You can even buy capsule toys, grab a drink from a vending machine or purchase a snack at the Tomato convenience store. Seeing the Lapis Fortune Teller. 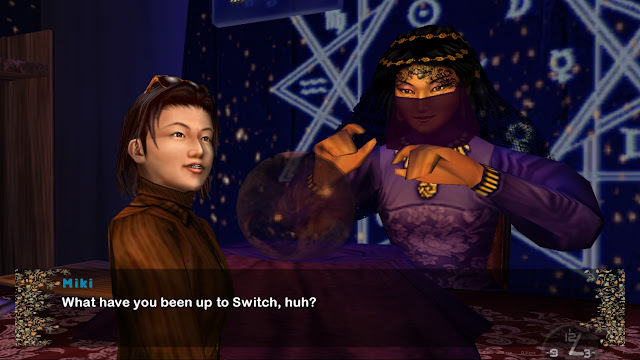 As the game is of a substantial length, ShenSun recommends making use of the Save function to split play across sessions. After starting the game you will soon find yourself pulled into the unfolding events. As I played, a smile was continually on my lips, and I couldn't help laughing aloud at some of the tongue-in-cheek dialog options and sassy lines from some of the characters, not to mention the quirky events of the story. A small but significant aspect in the dialog options that really added to the feeling of being in control of my own story was the ability to choose to respond in an abrupt or snarky way to characters, and to discover their (often humorous) responses. 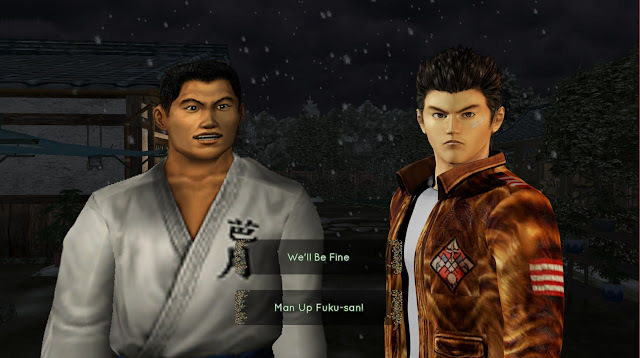 I couldn't resist choosing the second option here on my playthrough. 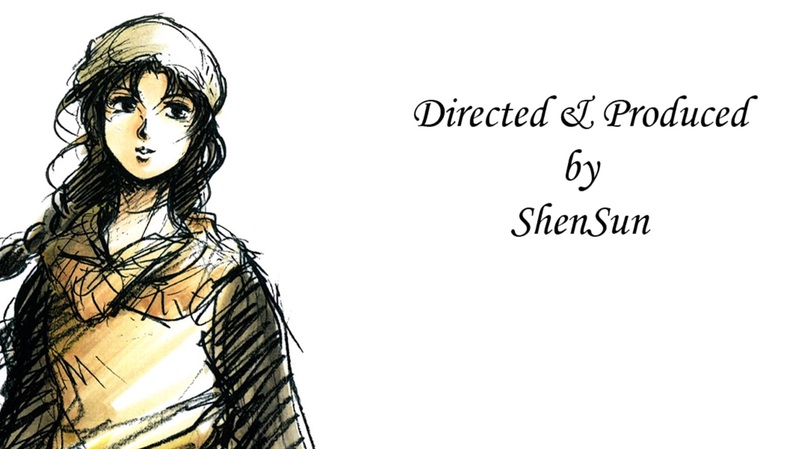 Later in the game is an awesome dream sequence that makes you feel as if you are about to step straight into Shenmue III (without wanting to give away too much!). "Should I make this scene 0.5 seconds long or 2 seconds? Does this bg image convey the emotion of the background music? 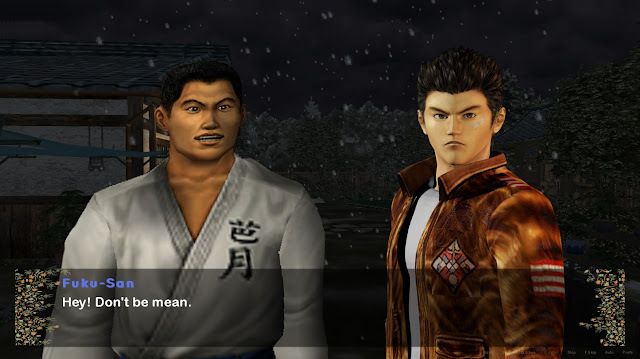 Are the character interactions communicating that friendly Christmas "togetherness" feeling? Does this sound effect match this action? Should "character A" slide in or fade in? Change background/scene here or wait? Do the interactions sound genuine? Should I put a voice line here for further immersion? Does this seem odd? Too much? Scale back? Choice of music? Etc. I applied the same logic to the menus and loading screens as well". Download the game for the PC from the Shenmue Dojo post below, where ShenSun has provided comprehensive game instructions.